The Union Cabinet has given its approval for setting up of the Pradhan Mantri Mahila Shakti Kendra (PMMSK). 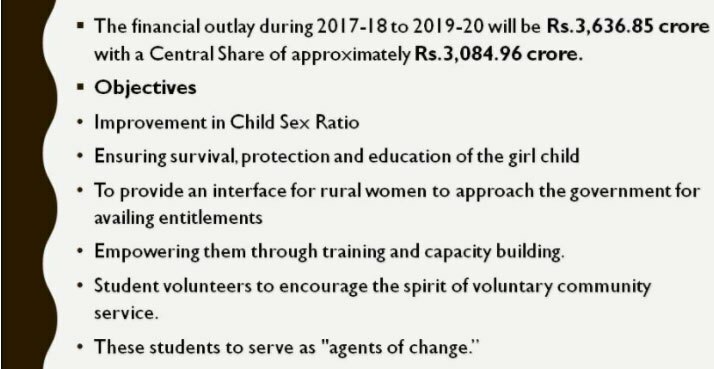 The government plans to reach the 115 most backward districts in the country with 920 Mahila Shakti Kendra. The government plans to reach the 115 most backward districts in the country with 920 Mahila Shakti Kendra. The Union Cabinet has approved the setting up of the 15thFinance Commission. Under Article 280 (1) of the Constitution, it is a Constitutional obligation. 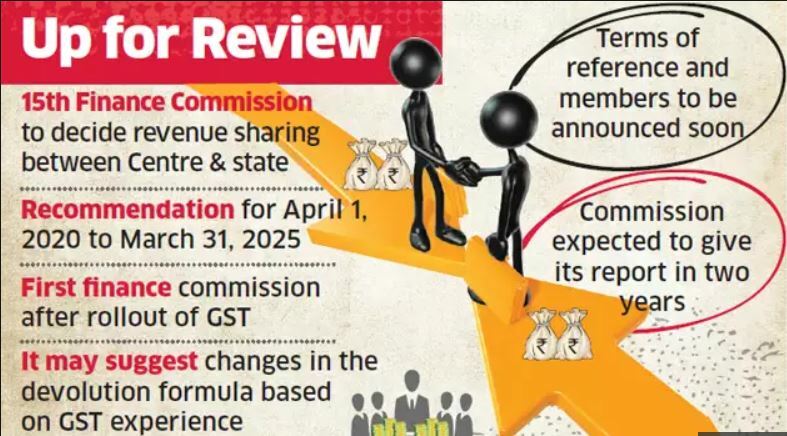 The Terms of Reference for the 15thFinance Commission will be notified in due course of time. What is a Finance Commission? Constitutional provisions: Article 280(1) of the Constitution lays down that a Finance Commission (FC) should be constituted “…within two years from the commencement of this Constitution and thereafter at the expiration of every fifth year or at such earlier time as the President considers necessary…”.In keeping with this requirement, the practice has generally been to set up next Finance Commission within five years of the date of setting up of the previous Finance Commission. The Constitution provides that Finance Commission shall consist of a Chairman and four other members to be appointed by President. The Chairman or members are eligible for reappointment. The Constitution authorizes Parliament to make provisions related to qualifications, conditions of service of members or powers of Finance Commission. So Parliament enacted Finance Commission Act in 1951 to determine provisions related to qualifications or disqualifications, conditions of service or miscellaneous powers to perform functions provided under constitution. Qualifications: The Chairman shall have vast experience in Public affairs and other four members shall be selected among persons who a) have qualifications as par with a judge of HC, b) has special knowledge of Finance and Accounts of govt, c) have vast experience in financial matters and d) have special knowledge of economics. The Union Cabinet has given its approval for continuation of the scheme on Indian Institute of Corporate Affairs (IICA) for another three financial years (FYs 2017-18 to 2019-20) and providing Grants-in-aid of Rs.18 crore to the Institute. It will make the Institute self-sustainable by the end of FY 2019-20. IICA is a think-tank and repository of data and knowledge to support rational decision-making for the policy makers, regulators as well as other stakeholders working in areas related to the corporate sector. 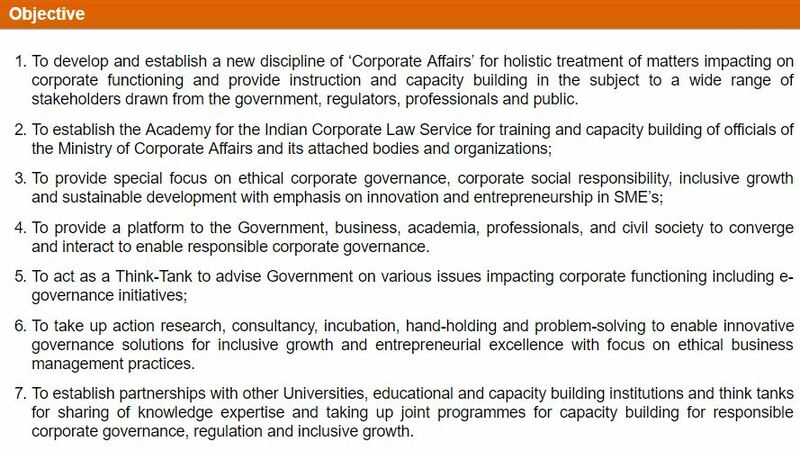 It offers services to stakeholders in the field of corporate laws, corporate governance, CSR, accounting standards, investor education, etc. Various activities of IICA also help first-generation entrepreneurs and small business for imparting multi-disciplinary skills as they are unable to afford to employ separate experts in management, law, accountancy, etc. The Prime Minister recently reviewed the progress in implementation of the Pradhan Mantri Khanij Kshetra Kalyan Yojana (PMKKKY). He said that funds accruing to the District Mineral Foundations (DMFs) should be utilized to strategically focus upon and eliminate major development issues or deficits that these districts currently face. He said this should be done in a focused way, so as to achieve the greatest possible, tangible results by 2022, which marks 75 years of independence. The Mines and Minerals (Development & Regulation) Amendment Act, 2015, mandated the setting up of District Mineral Foundations (DMFs) in all districts in the country affected by mining related operations. In case of all mining leases executed before 12th January, 2015 (the date of coming into force of the Amendment Act) miners will have to contribute an amount equal to 30% of the royalty payable by them to the DMFs. 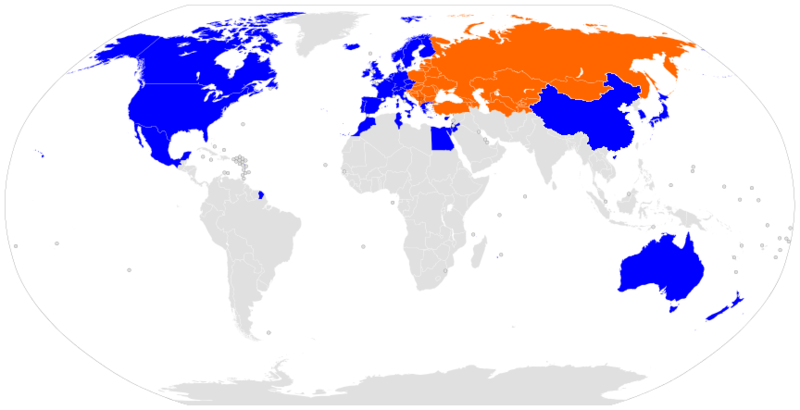 Where mining leases are granted after 12.01.2015, the rate of contribution would be 10% of the royalty payable. The Prime Minister, Shri Narendra Modi, recently chaired the twenty-third interaction through PRAGATI – the ICT-based, multi-modal platform for Pro-Active Governance and Timely Implementation. The first twenty-two meetings of PRAGATI have seen a cumulative review of 200 projects with a total investment of Rs. 9.31 lakh crore. In the latest meeting, the Prime Minister reviewed the progress towards handling and resolution of grievances related to consumers and the progress of nine infrastructure projects in the railway, road, power, and renewable energy sectors, spread over several states. The Union Cabinet has approved India’s Membership for European Bank for Reconstruction & Development (EBRD). Necessary steps will be initiated by the Department of Economic Affairs, Ministry of Finance to acquire the membership of the EBRD. Topic: Major crops cropping patterns in various parts of the country. Context: India has sent a proposal to United Nations for declaring the year 2018 as ‘International Year of Millets’. 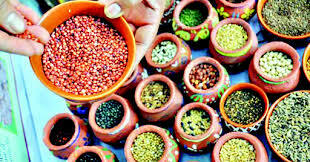 The proposal, if agreed, will raise awareness about millets among consumers, policy makers, industry and R&D sector. Promotion of production and consumption of millets through conscious efforts at global level is likely to contribute substantially in the fight against targeted hunger and mitigate the effect of climate change in long run. Popularizing millets would benefit future generations of farmers as well as consumers. What are Millets? Millet is a common term to categorize small-seeded grasses that are often termed nutri-cereals or dryland-cereals, and includes sorghum, pearl millet, ragi, small millet, foxtail millet, proso millet, barnyard millet, kodo millet and other millets. Lakhs of migratory birds have made their way to the Chilika Lake, Asia’s largest brackish water lagoon. Major bird congregations have been spotted in the wetlands of the Nalabana Bird Sanctuary inside Chilika and Mangalajodi, a major village on the banks of the lake. Migratory birds fly across continents from Caspian Sea, Baikal Lake and remote parts of Russia, Mongolia and Siberia and flock to the marshy lands of the Nalabana Bird Sanctuary inside the Chilika Lake, which is spread across over 1000 sq. km. It is the largest coastal lagoon in India and the second largest lagoon in the world after The New Caledonian barrier reef in New Caledonia. It is the largest wintering ground for migratory waterfowl found anywhere on the Indian sub-continent. It is one of the hotspot of biodiversity in the country, and some rare, vulnerable and endangered species listed in the IUCN Red List of threatened Animals inhabit in the lagoon for atleast part of their life cycle. 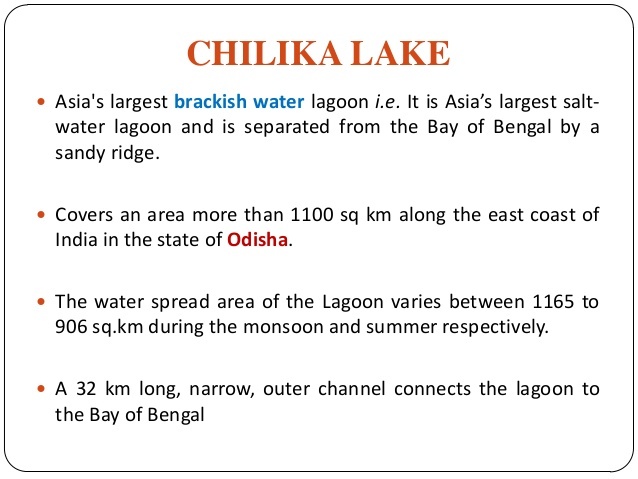 On account of its rich bio-diversity and ecological significance, Chilika was designated as the 1st “Ramsar Site” of India. The Nalaban Island within the lagoon is notified as a Bird Sanctuary under Wildlife (Protection) Act, the National Wetlands, mangroves and coral reefs Committee of Ministry of Environment & Forests, Government of India, have also identified the lagoon as a priority site for conservation and management. Chilika Lagoon lies in the districts of Puri, Khurda and Ganjam of Odisha State along the eastern coast of India. It is well connected to the Chennai and Kolkata through National Highway No 5, and the Chennai Kolkata rail line passes along the western bank of the Lagoon Balugaon, with Balugaon, Chilika and Rambha being the main stations along the Western shoreline of the lagoon. 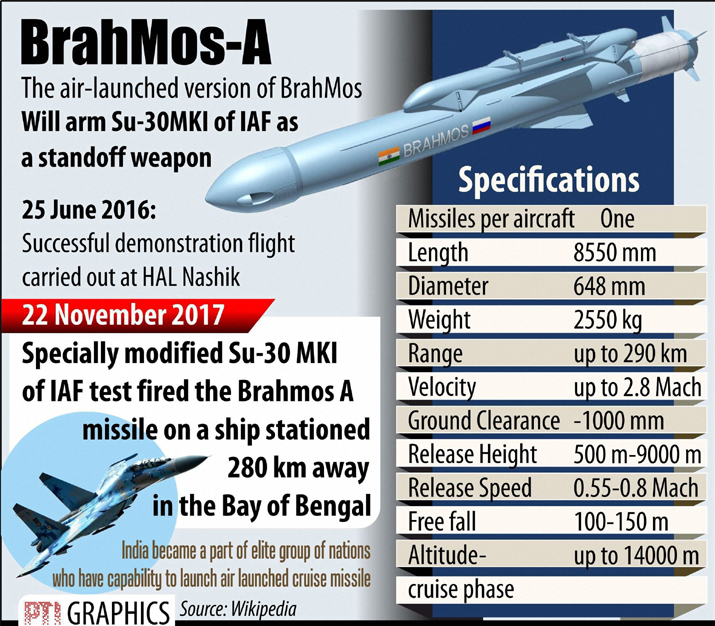 In a major milestone, the Brahmos supersonic cruise missile has been successfully test fired for the first time from the Indian Air Force’s frontline Sukhoi-30 MKI combat jet against a sea-based target in the Bay of Bengal, significantly bolstering the country’s aerial prowess.